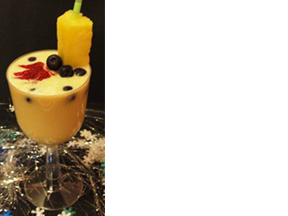 Mix all ingredients in blender until smooth and creamy. You can make a pitcher and keep some fresh fruit aside to start your morning! Tip: For more than one serving, multiply ingredients by the number of servings.